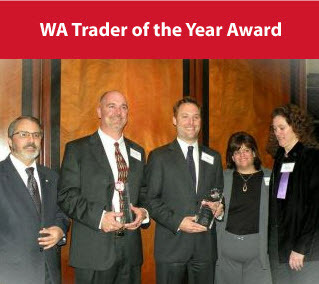 Archived Anderson Newsletters | Anderson Hay & Grain Co., Inc.
2010 - Governor’s Trader of the Year Award: Recognizes a WA state business that has demonstrated success and industry leadership through its innovation in products or services, its contributions to the local economy, and its service to the community. 2010 - Celebrated 50th Anniversary as an incorporated company. 2008 - Sole provider of hay products to the Summer Olympic Games Equestrian teams in Beijing, China. 2004 - Sole provider of hay products to the Summer Olympic Games Equestrian teams in Athens, Greece. 1998 - Fifth Annual Globe Award: This award recognizes companies for their leadership role in building international trade and strengthening the area’s economy in both Eastern and Western WA. 1998 - Governor’s International Achievement Award, Oregon Exporter of the Year: Recognizes organizations that have demonstrated outstanding leadership and achievement in the Oregon export industry. 1993/94 - Who’s Who Business Leader: Recognizes individuals who have demonstrated outstanding leadership and achievement in their occupation, industry and profession. 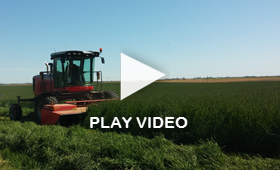 1971 - Began exporting hay to Asia (fumigation protocols complete in 1979). Proud sponsor of and contributor to numerous community events in the Kittitas Valley, Columbia Basin, Willamette Valley and around the world.